We are pleased to offer this 2nd floor apartment in the popular Banister Park area of Southampton. 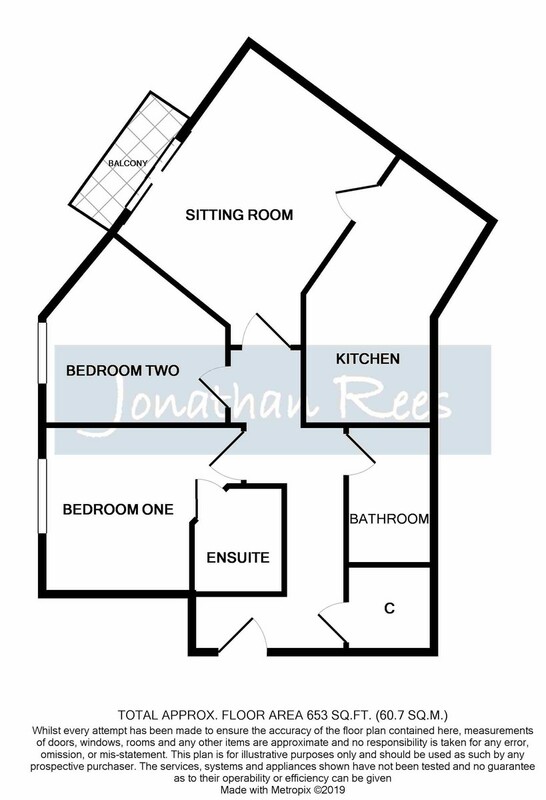 With two bedrooms, one of which has an ensuite, the apartment also benefits from a garage, parking, balcony off the sitting room and lift access to all floors. Offered with no forward chain. ENTRANCE HALL Textured and coved ceiling, storage cupboard housing electric meters and consumer unit, thermostat. KITCHEN 12' 0" x 6' 10" (3.66m x 2.08m) Irregular shape Textured and coved ceiling, range of wall and base level units with roll edge working surfaces over, inset 1 and 1/2 sink and drainer with mixer tap over, inset electric hob with oven under and extractor over, space and plumbing for fridge/freezer and washing machine, wall mounted combi boiler, tiled splash backs and floor. ENSUITE Textured and coved ceiling with extractor fan, shower cubicle, pedestal wash hand basin and low level WC. BEDROOM TWO 11' 5" x 10' 10" (3.48m x 3.3m) Irregular shape Textured and coved ceiling, double glazed window to the side aspect. BATHROOM Textured and coved ceiling with extractor fan, white suite comprising of panelled enclosed bath with telephone style mixer tap over, low level WC and pedestal wash hand basin. OUTSIDE Communal gardens front and rear, access to the garages and visitor parking spaces. GARAGE With roller shutter door.